DSSSB Result 2019: Below are the latest results published by DSSSB - DSSSB - Delhi Subordinate Services Selection Board / dsssbonline.nic.in. The recent result announced by the organization is Primary Teacher Final Result 2019. DSSSB Primary Teacher Final Result 2019: DSSSB - Delhi Subordinate Services Selection Board has announced the Result on 29 Mar 2019 for the exam . 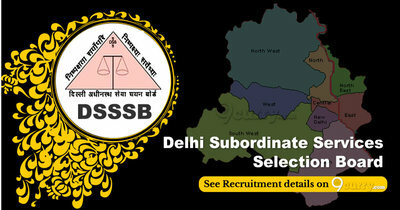 DSSSB Delhi TGT Result 2019: DSSSB - Delhi Subordinate Services Selection Board has announced the Result on 15 Jan 2019 for the exam . DSSSB PGT Result 2018: DSSSB - Delhi Subordinate Services Selection Board has announced the Result on 06 Sep 2018 for the exam . Grade IV DASS in Services Dept under Post Code 61/2015: DSSSB has announced the Result on 20 Oct 2017 for Grade IV DASS in Services Dept under Post Code 61/2015 . DSSSB Tier-2 Written Exam Admit Card 2017: Get the Admit Card for the Tier-2 Written Exam for following posts will be conducted on 15 Oct 2017.